If you could sum up Ex-Purgatory in three words, what would they be? 85% of this story involves St George, and thats no bad thing, but you do miss Zzzzaps witty, almost sidekick role. Although St George as a character easily carries the story along. What aspect of Jay Snyder’s performance might you have changed? A great series. Just not on par though! The story line lacks action compared to the previous books in the series. 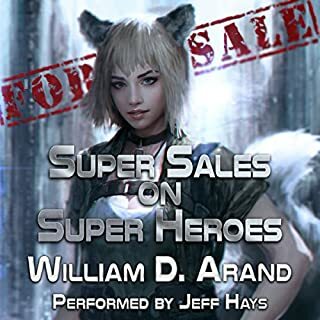 Jay Snyder is an outstanding narrator and I would recommend most books he is featured in. Yes I have listened to all of this series of books and they are great. I can recommend them all. 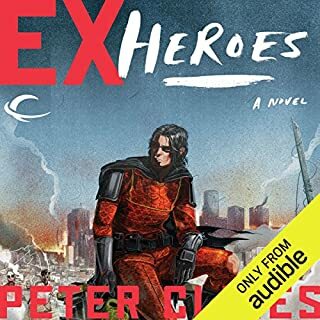 This book is still worth a listen or read but it is just not quite as good as the others in the series. What does Jay Snyder bring to the story that you wouldn’t experience if you had only read the book? Jay Snyder is outstanding. My favourite narrator by far. The day by day Armageddon series is insane. He brings tension and the ability to immerse yourself in the story. Unfortunately disappointment. It just didn't have enough action in it. Great idea but lacked something the other books had. I think the title gave it away to much. Highly recommend the rest of the series and any book by jay Snyder. The second book in the series is by far my favourite. Cool story idea dragged out too far. And I mean dragged out WAY too far. The cool idea would have been fine as an prologue or even as the beginning of a book. But it's almost the whole book, and pretty dull and repetitive at that, after the first "what's happening" novelty settles. 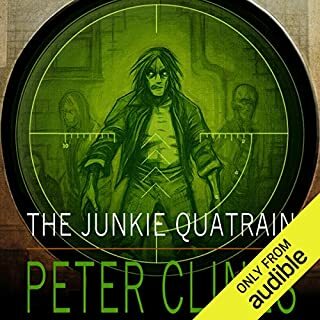 Jay Snyder's narration is great as always, but the book as a whole is a major disappointment. 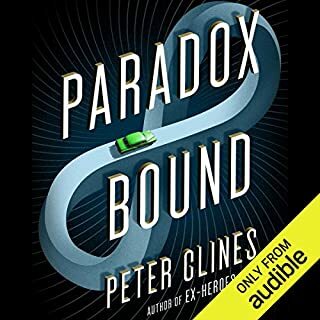 I realize that Peter Clines tried something different, and that's OK, but he overdid it and made the book unenjoyable. Too bad. I loved the first three books in the series. I like how a majority of the book is actually them trying to solve the problem, it is an interesting twist on the book. 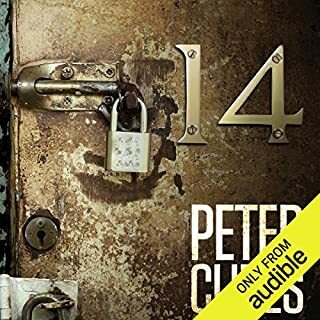 Sad that they didn't have all the narrators and changed the voice of some characters from the other books in the series, but other than that it was a great entry. Different and brilliant for it. This is different from the others and just what the series needed. It had a great plot that you could kind of work out what was happening and it made it super enjoyable. Stealth, you learn some stuff about her and get to meet her all over again. 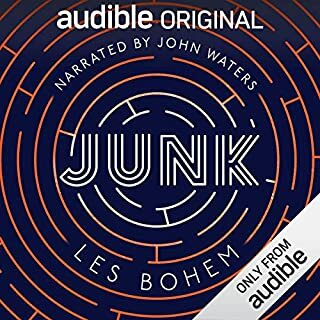 Yes, I usually only listen when I drive but this one had me binge listening. Don't stop writing this series please. I absolutely enjoyed this book it is a bit different in narration style and story to the rest of the series. I found myself taking the long way home so I could listen to what happened next!! Story not bad but solo-narration lets it down. The idea to do a "X-Men Origins: Wolverine" type back-story/alternative story focused on St. George is good and for the most part works (not as strong as the other books but still a good read) the fact that it's only narrated by Jay Snyder (who, as usual, does an excellent job of course) really detracts from the listen. I can understand why the decision was taken to only voice with Snyder as the St. George narration takes up 80% of the book so why would you pay for 4 voice actors when you're only going to use a fraction of the time of 3 of them. But that other 20% (as a listener) suffers greatly by not having that rich cast of voices from the other books. Put another way, if this book was the first I'd listened to in the series I don't know that it would have captured me enough to bring me back for the others. As a fan who's listened to the other 3 books and loved them, this book was a serious let-down as a consequence. I'd almost have preferred to read it and imagine the voices as they've been played out in the other books. Please, please, please don't skimp on the voice actor budget next time and get the whole crew back together otherwise I'm pretty confident you'll kill the interest of the fan base (or me at least). What three words best describe Jay Snyder’s voice? 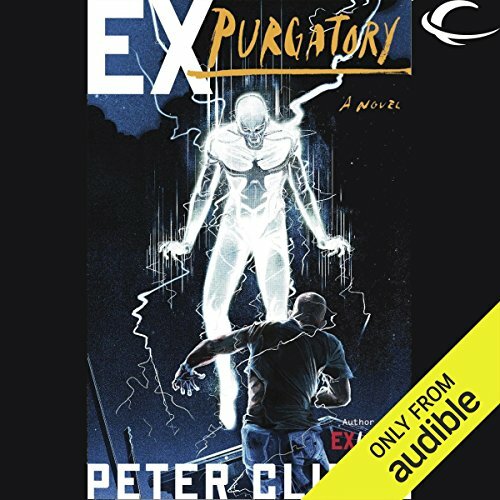 Where does Ex-Purgatory rank among all the audiobooks you’ve listened to so far? It is good mind bending perspective with the whole agent Smith reveal. But felt like an infiller episode to me compared to the usual Heroes exploits. It has been my experience that female writers tend to hold onto characters long past there due date and are reluctant to kill them off. But with male writers they go out in a blaze of glory and their death has meaning or saves another with purpose. I would always expect any of these Heroes deaths to save many or protect another from certain DOOM. ST George is the mighty Dragon. Who else rules the mount? Again, the voice of power and deep resonation that breaths life into these mighty characters. Minds shifted, reality altered the heroes battle on. Bring the robot back and give Captain Freedom more honor. Make the next installment more on the ground with plenty of worth to the corpse girl to. What did you like most about Ex-Purgatory? I'm not a great reviewer - but this whole series has me addicted - so much more than the usual 'living dead' themed alternatives. I have found myself preferring to listen to this series instead of watching my backlog of TV favourites.